Let us know what you think! We're here to nourish you one cookie at a time. Handmade paleo and vegan treats: liberated from grains, gluten, dairy, refined sugars, and soy. Our snack cups are made of rich creamy vegan mousse and topped with vegan + paleo friendly goodness . Available in store and for catering. Nibs of chocolate on top of more chocolate? Yes please! Creamy Fair Trade™ raw organic chocolate mousse, topped with our own decadent handmade dark vegan chocolate chips. Pie in a cup - easy to transport, perfect for snacking, and soooo good! 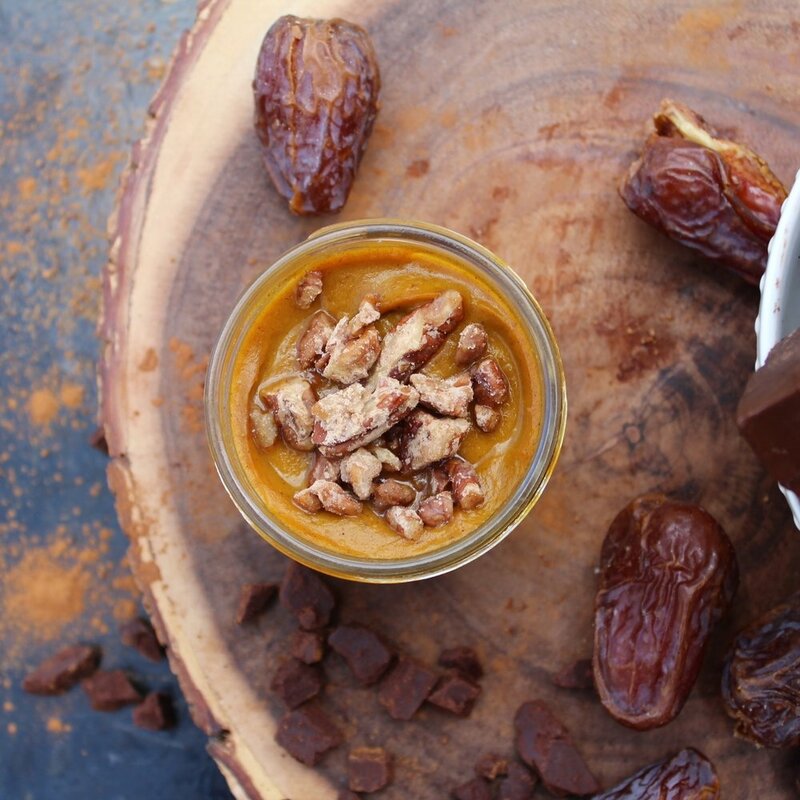 Perfectly spiced pumpkin pie packed into a snack cup and topped with candied pecans. We're always mixing up new treats.